As the Cork Mother Jones festival has grown and developed we have begun to gather together a collection of poems, songs and stories about Mother Jones, some of these are new, some have been lost or forgotten for decades. 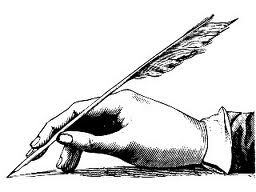 We have set up this page to gather them into the Cork Mother Jones anthology. A white-haired rebel woman whose age was eighty three. And the patriotic soldiers “Charged” and captured Mother Jones. Ready’ for any bloddy work the lords of earth command. But never was such a glory as that “charge” on Mother Jones! This poem was recited to the West Virginia Federation of Labor sometime between 1917 and 1920. 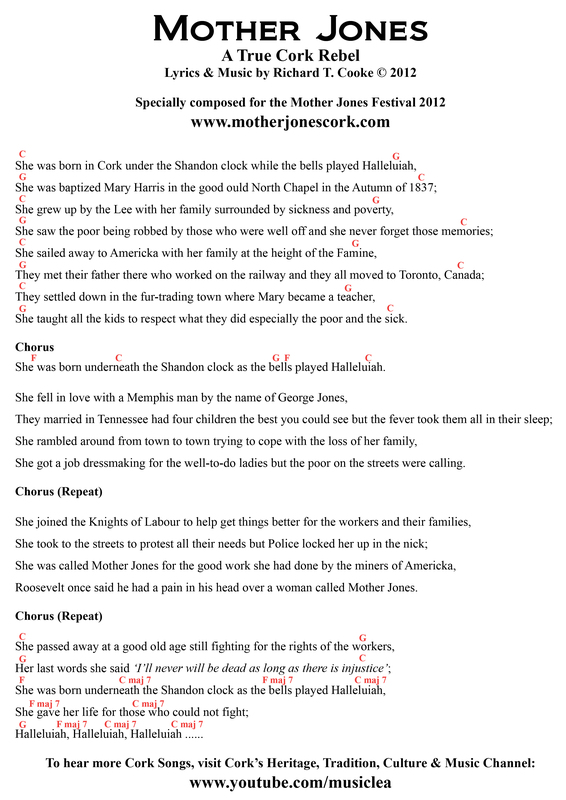 Cork Mother Jones committee and musician William Hammond sang it to the tune of The Battle Hymn of the Republic (John Brown’s Body) at the Spirit of Mother Jones Festival on Mother Jones Day 2013. From the Rebel County came a mighty leader, ‘Though born among the poorest of the poor. All through her life she fought the great enslavers, And took the fight for justice to their doors. In a land where men were equal in the law. And she vowed to right the awful wrongs she saw. There was children working twelve hour shifts down coalmines, When they should have been out playing in the sun. With armed guards making sure they didn’t run. Pray for the dead but fight like hell for the living. And she fought like hell to change the labour laws. She faced the Merchant Prince and made him run. in a miners union grave they laid her bones. The legend, that was Mary’ Mother Jones. From the first days when she started out campaigning. Until the end when she was old and frail. Our hero would spend many nights in jail. But the papers of the day took up the story. Being locked up only added to her fame. Made the bosses run and hide their heads in shame. Alternative first line for international use. From a tiny Irish village came a hero. Mother Jones…how’d she get so strong? Mother Jones…How’d she live so long? And they call it an AGITATOR. I was at a few of the events for the mother jones festival , the 1909 cork lockout, tadhg barry film, and banner parade also the andy irving concert I would like to thank the committee for a brilliant festival . this should grow to be a great event in conjunction with the Shandon street festival.